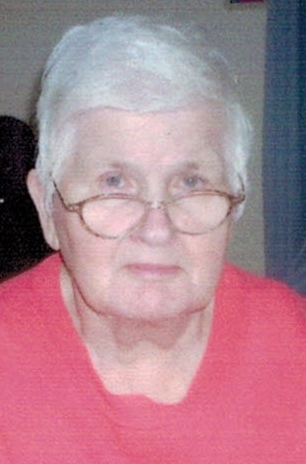 Esther L. Lamar, 84, resident of the Warren Manor, 682 Pleasant Drive, Warren, PA. formerly of Hazeltine Hollow Road, Youngsville, PA., passed away at the Warren Manor on Sunday, February 16, 2013, our wonderful mother, wife, grandma, great grandma, and aunt, was called to her eternal home. Born April 8, 1928, at home in Corry, PA. She was the daughter of Lionel and Nellie Jamison Sillaway. On September 21, 1946 she married William Willis Lamar in Corry, PA. Esther enjoyed crocheting and traveling in her retirement years before her husband passed away. In her later years she enjoyed writing letters to her many friends and her niece in Missouri. She also enjoyed reading the Amish series of books by Beverly Lewis and doing circle word books at her leisure. Mrs. Lamar is a retiree from the Rouse Home, where she had made many wonderful friends. She had also worked at Roy’s Texas Lunch of Warren and the Way-Side Restaurant in Youngsville, PA. She was a devoted and loving wife to her husband till his death on July 11, 2002. Her surviving children Sharon Hilyer and Thomas Lamar were the pride and joy of her life. Also surviving are her grandchildren – Jennifer Hilyer Perkins, Nathan Hilyer, Leoma Lowman, Daisy Lamar Danny Lamar, Jason Dexter, Troy Dexter, and Willy Dexter, 5 Great Grandchildren, several nieces and nephews. In addition to her parents and husband, she was preceded in death by two daughters – Shirley Lamar Griffith, Patricia Lamar Dexter, two grandchildren – Denny Lamar and Baby Dexter, stepbrothers – Harry and Clarence Bromely and her four sisters – Iva Maine, Lena Green, Grace Maine, and Edith Keith. There will be no visitation hours observed, a memorial service will be conducted at the convenience of the family. Memorial contributions may be sent to the Warren Manor Patient Activities Fund, 682 Pleasant Drive, Warren, PA. 16365. E-mail condolences may be sent by visiting www.lewisfuneralhomeinc.com. The Donald E. Lewis Funeral Home, Inc., Warren, PA. has been entrusted with funeral arrangements. Sharon, so sorry for your loss. Rest assured that your mom is at peace and has joined your dad, sisters and others who passed before. Your mom was a wonderful woman and I have many fond memories of time spent with her. Love and prayers to you and your’s.